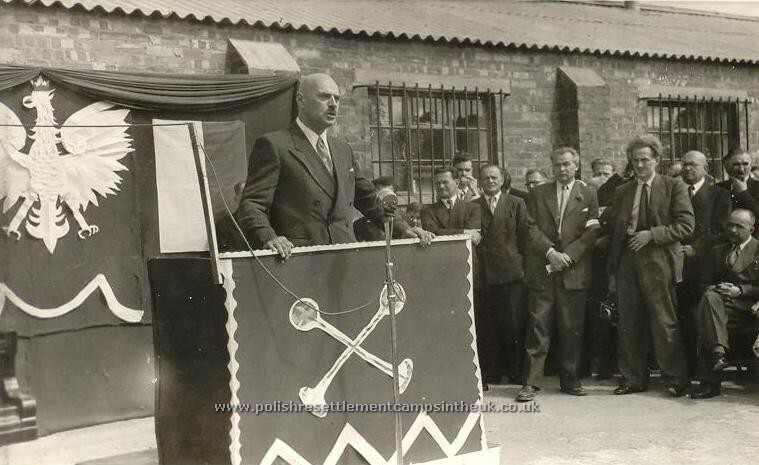 General Anders on his visit to Northwick Park, 1952. 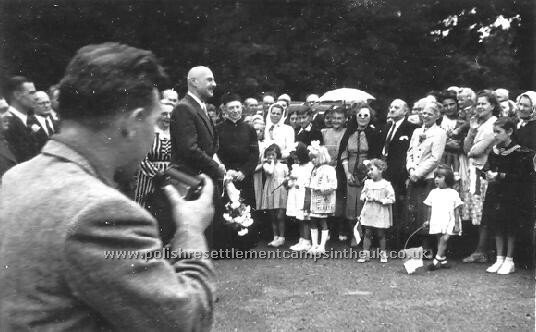 General Anders in Northwick Park Camp surrounded by happy smiling Polish exiles as he delivers his speech of hope. 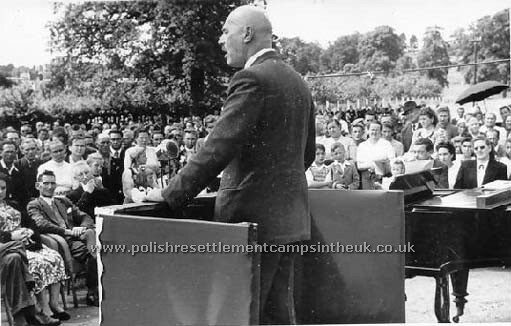 Yet most of those people listening never saw Poland again. 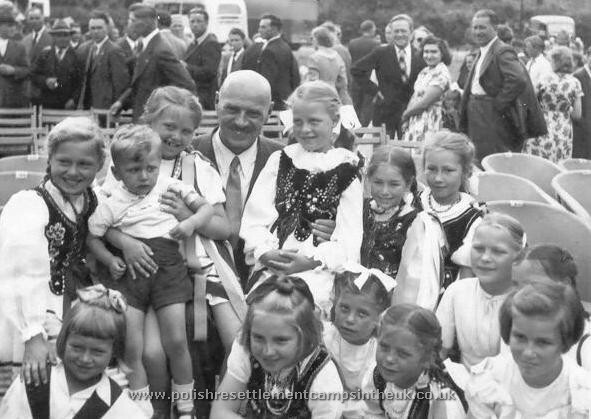 Kazia Liniewicz, unknown boy, Danka Starzyńska, Zosia Hartman, Ewa Dymitrów, Basia Krasnodębska, unknown. 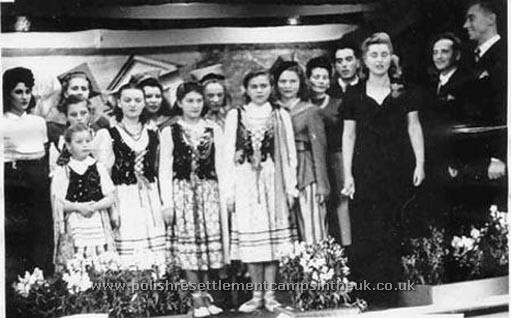 Marysia Liniewicz, Basia Arbaszewska, Marysia and Zosia Kurjatówne. 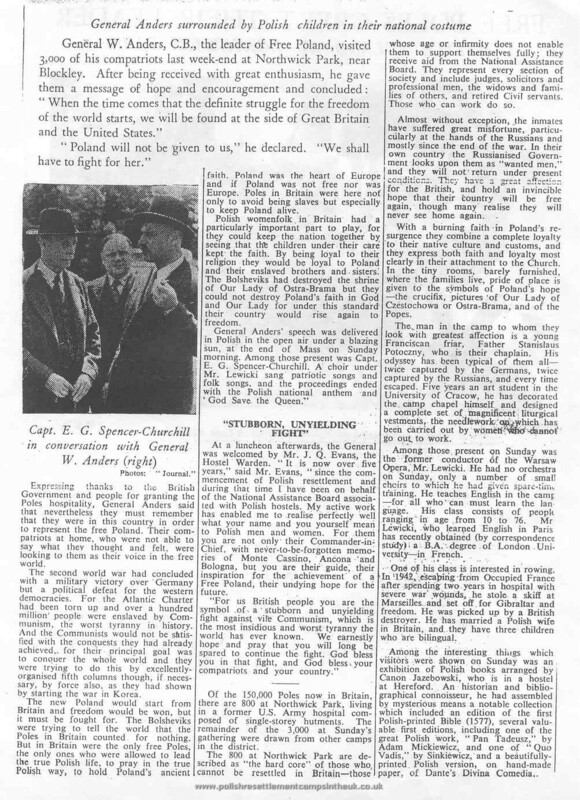 This large article about the visit can be found in The Evesham Journal archives entitled Free Poles greet their leader dated Saturday 26 July 1952, page 10. 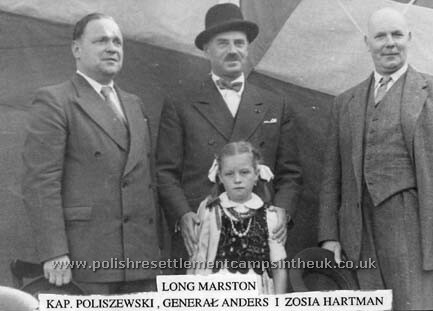 Some ten miles from Northwick Park was Long Marston, a Royal Engineers depot, with about 500 Polish demobilised solders living and working in the camp. Camp A and camp B. 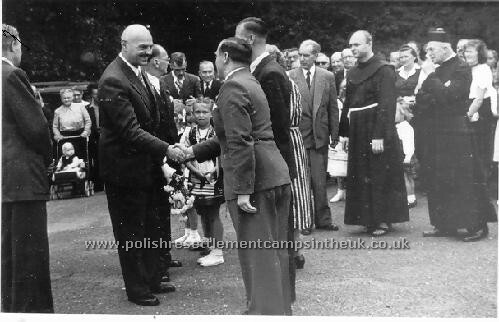 Major Tadeusz Poliszewski was the camps' commandant. 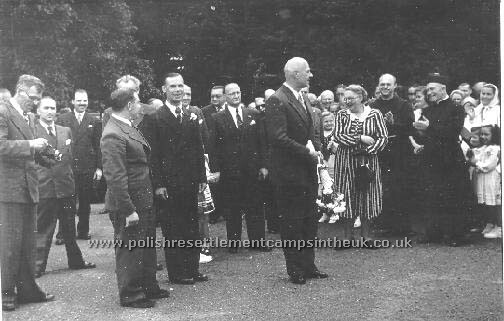 When General Anders visited Long Marston in 1951 Poles from Northwick Park laid on a show of national dance, song and poetry. 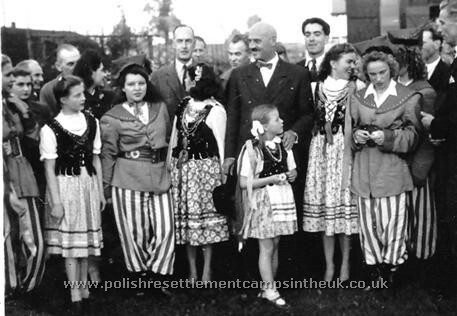 Polish song and dance group from Northwick Park with general Anders. 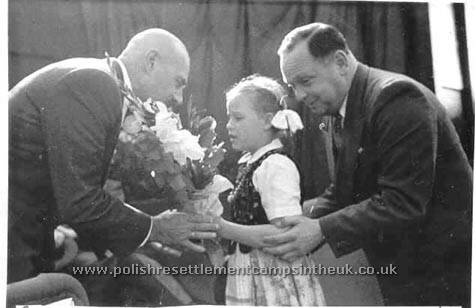 General Anders receiving flowers from Zosia Hartman guided by Major Poliszewski.